Have you heard? 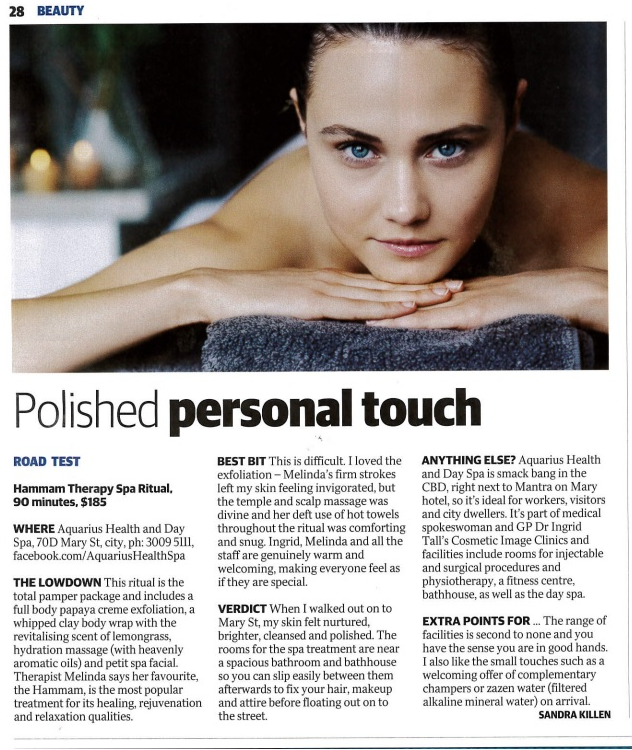 Aquarius Health and Medispa are the proud recipients of a World Luxury Spa Award. Click on the picture below to read the full Media Release. Dr Ingrid Tall has over twenty years of experience in the cosmetic medicine industry and is often asked to provide expert advice or journalists just want to have a chat to get an insight into the woman behind Cosmetic Image Clinics in Aquarius Health and Medispa. 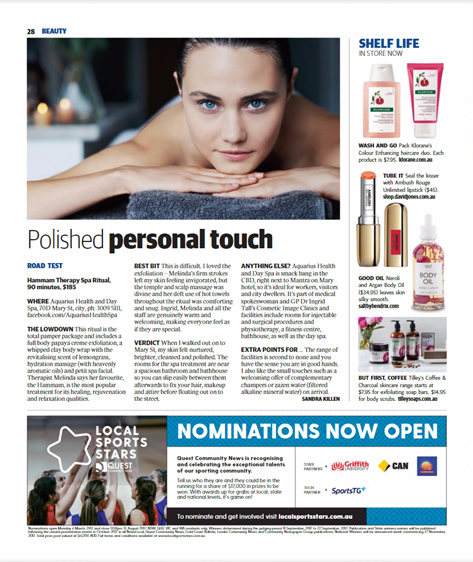 Style Magazines, Nov 21, 2017 – We’ve just found Brisbane’s best Day Spa experience…and it serves alcohol! Style Magazine is Brisbane’s premier print and online source for what’s in vogue. Our very own Dr Ingrid Tall has written articles as the health and beauty expert. Issue: December 2016 – Rethinking Your Ink? Issue: April 2016 – What Is A Vampire Facial? Issue: December 2015 – Its Party Season!